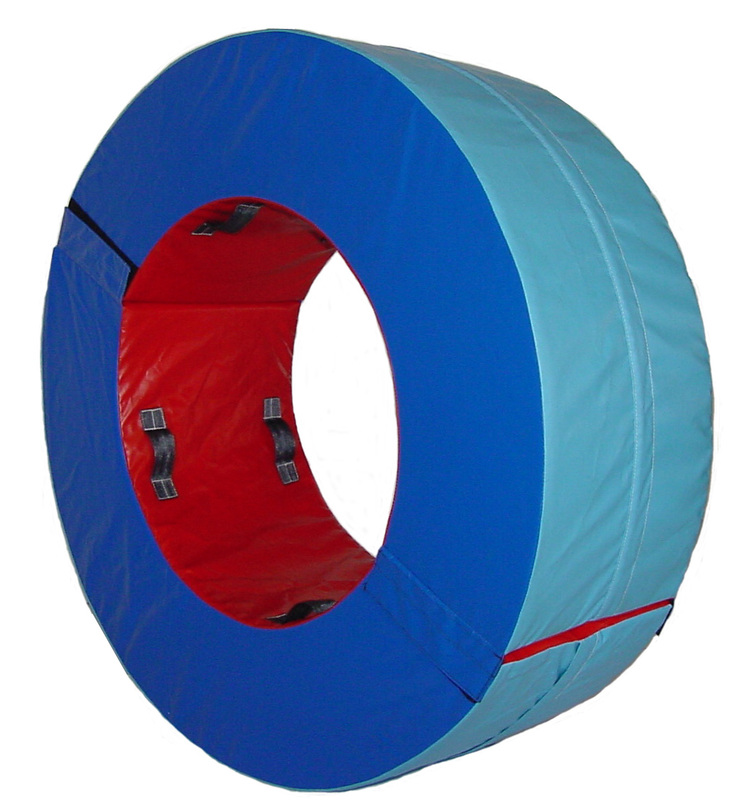 RD-52 The donut is a versatile piece of equipment used in daycares, special education classes and physical therapy programs. Used for balancing drills, as a crawl through, and a ride on for the old tire roll. 52" x 18" - the center is 30"
Filled with combination foam, this shape is constructed out of 18 oz. vinyl.